The Watershed Management Division (WMD), Department of Forests and Park Services (DoFPS) successfully conducted 4-days writeshop on REDD+ Strategy and Action plan at Phuentsholing from 14-17th November 2019. 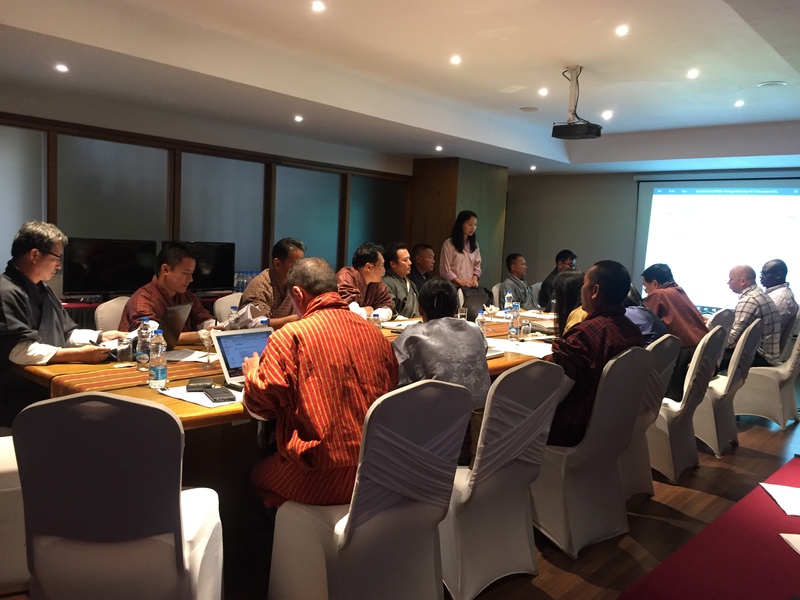 The participants consisted of REDD+ Technical Working Group members. The representatives from different sectors in the TWG reviewed the Strategy document and appropriate comments for improvements were suggested. The Strategy Options and PAMs were also finalized. The comments received from the workshop will be now addressed for further improvement of the strategy document.